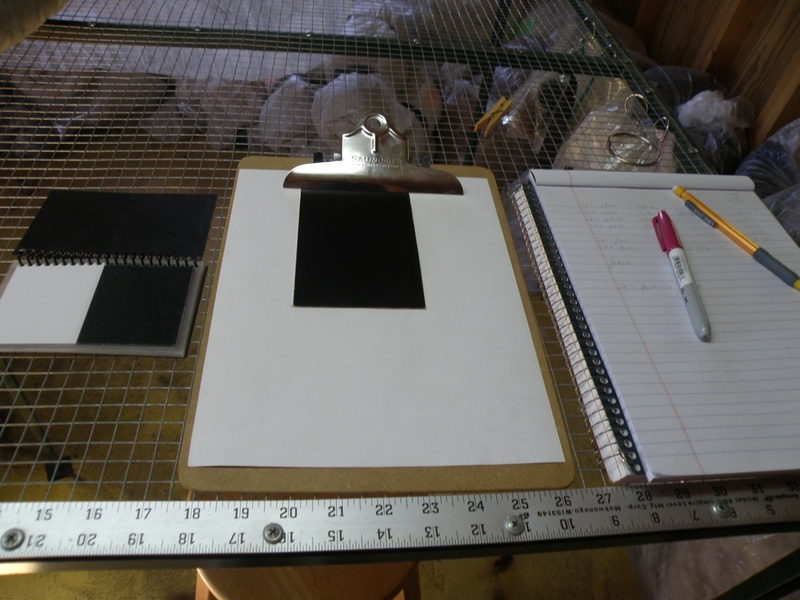 In another post I outlined the reasons why sorting and grading alpaca fiber is beneficial. Since shearing our alpacas, I have spent many hours in the fleece room sorting my fiber and getting it ready for the mill. To do this you need some basic tools. 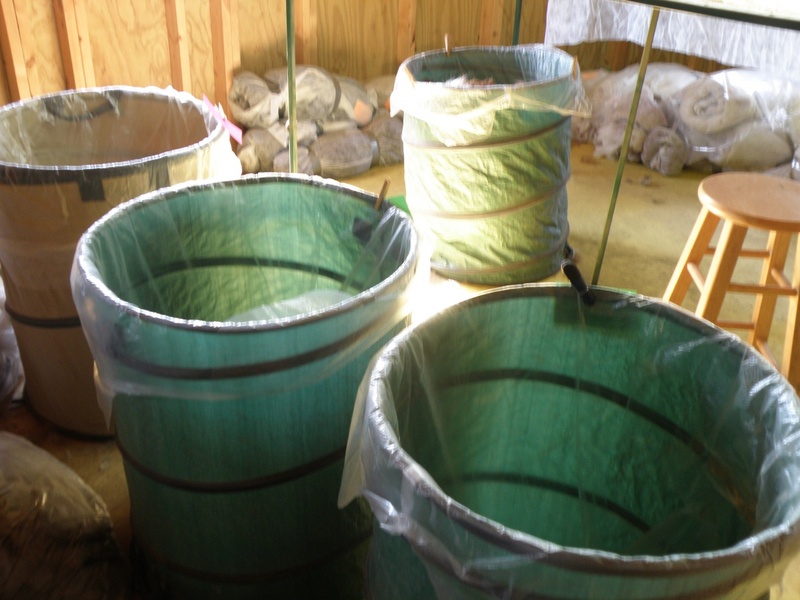 Apart from a skirting table you will need large bins with a plastic bag,( I use plastic pop up bins often used for gathering leaves) for each grade. For your bins an index card with the grade number kept in place by a clothes peg works well. 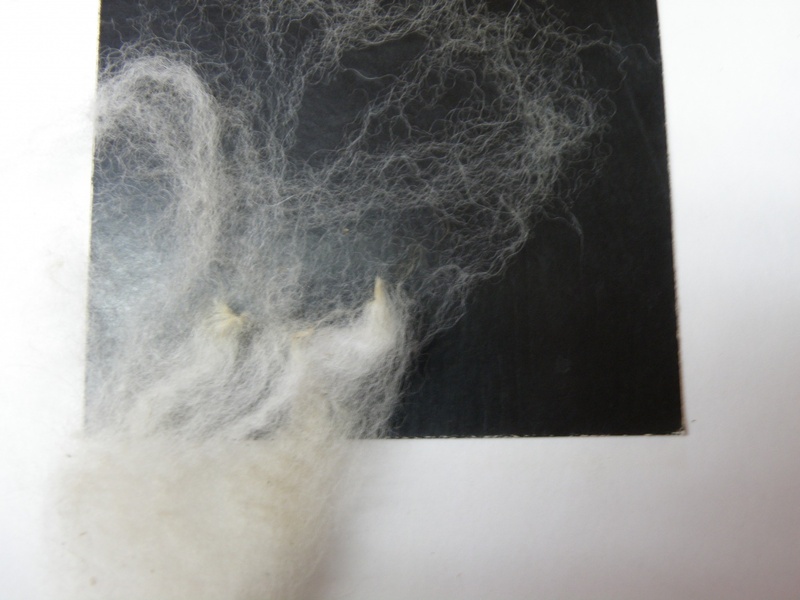 You need white and black paper so that you can see the individual fibers. Fiber samples of measured micron for comparison are necessary. I have a range of samples that I have collected on my various sorting courses but you can make your own collection. When you send your fiber to be tested, keep your own sample. When you get the results you can label your samples with the micron count. I use snack bags which you can easily write on. I think there are a couple of mental hurdles to get over when you start sorting your fiber. One is the idea of combining fleece of the same grade rather than processing individual animals. The other is that where the fiber comes from on the animal is not important, it is only the grade that counts. Neck fiber is often the same length and micron as the blanket. Unless you have a highly uniform fleece, you will find that there may be more than one grade in your blankets. Take samples from different parts of the fleece and compare them. This will give you an idea of any variation in grade. The different grades go into the appropriate bin. One thing to check while sorting is staple length. Keep the difference in length to 1.5 inches for the best results. I have a range of colors in my herd and I usually start at white and then work through the other colors. If you end up with small amounts of one grade in certain colors, think of combining them. You can do this with any of the colors creating a new color once they are blended at the mill. It takes a lot of practice to be able to determine grade and micron but you will see the difference in the end result from the mill. It really is worth the effort!